Great Wall. Tours to China. Travel to China. Legend tour. 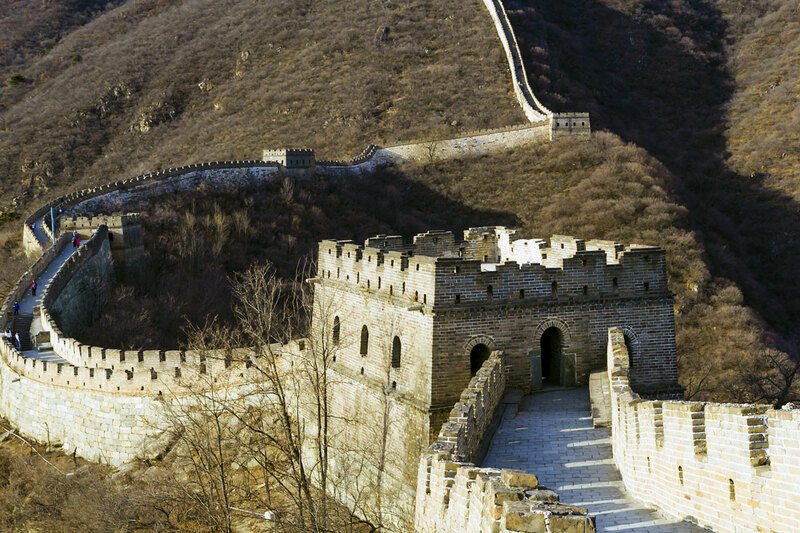 The world-famous Great Wall lies in China as an enormous flying dragon. It starts from Yalu River bank in the east, through high mountains, vast steppes and boundless deserts, to reach at the snow-covered Tianshan Mountains in the west. 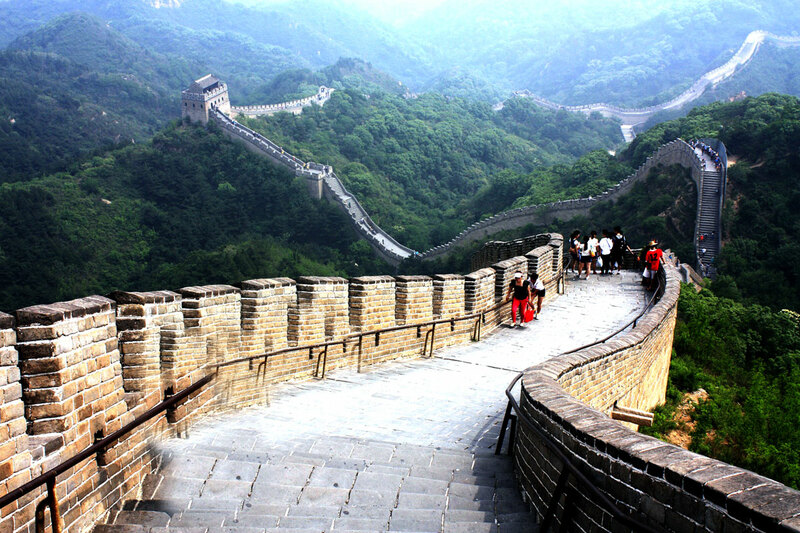 The extraordinary difficult engineering and imposing manner of the Great Wall give a more magnificent scenery to Northern China. 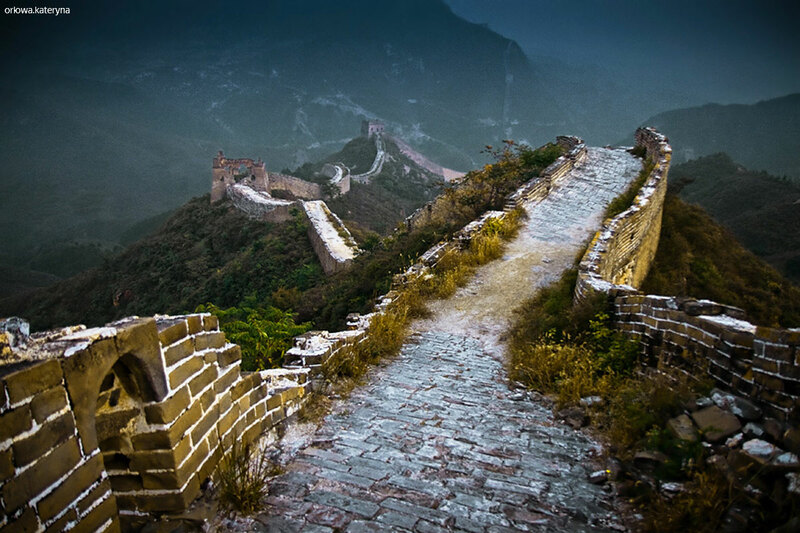 Great architecture of ancient China, the Great Wall is considered one of the wonders of the world, it holds a very important place in the history of the world civilization. In 1988, the UN designated it one of the world's greatest cultural heritages. 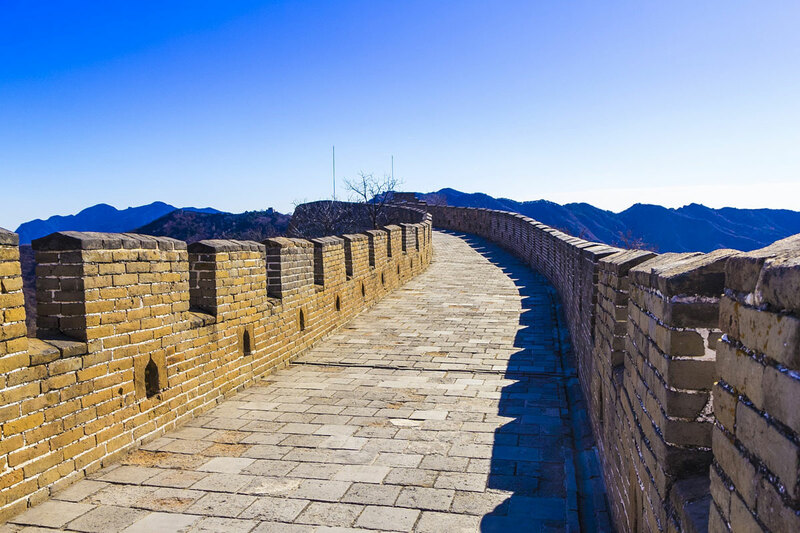 A crystallization of blood, sweat and intelligence, the Great Wall is not only a historical monument of China, but also a symbol of Chinese people. 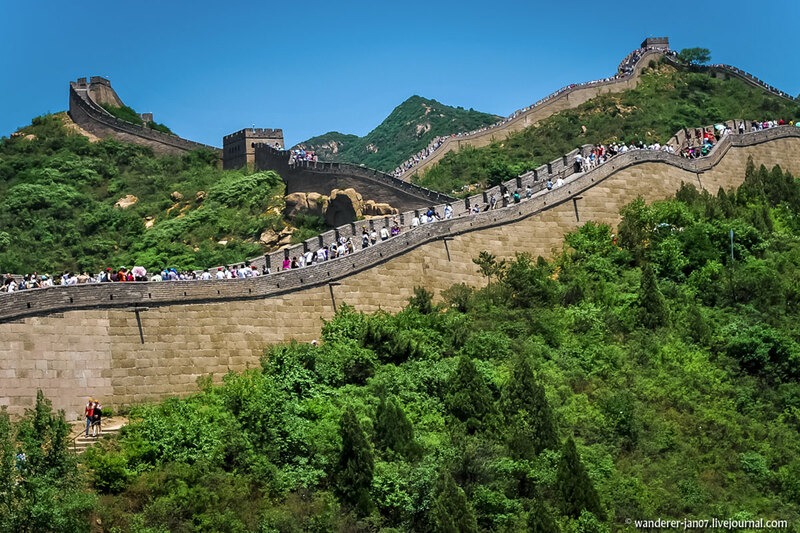 The Great Wall, with a history of more than 2000 years, still keeps its imposing manner and looks magnificent today. 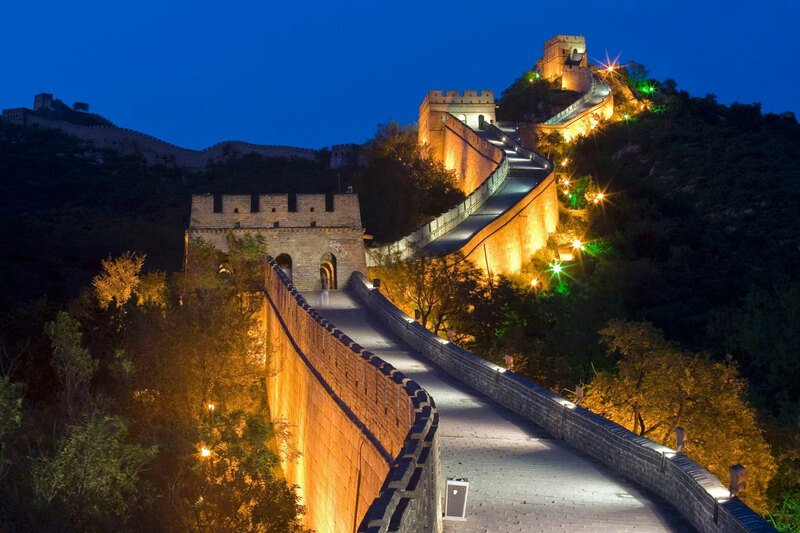 When they arrived on the moon, American astronauts of the space-shuttle Apollo II said excitedly that the only man-made structure to be visible from the moon was the Great Wall of China. The engineering of the Great Wall is astonishing! 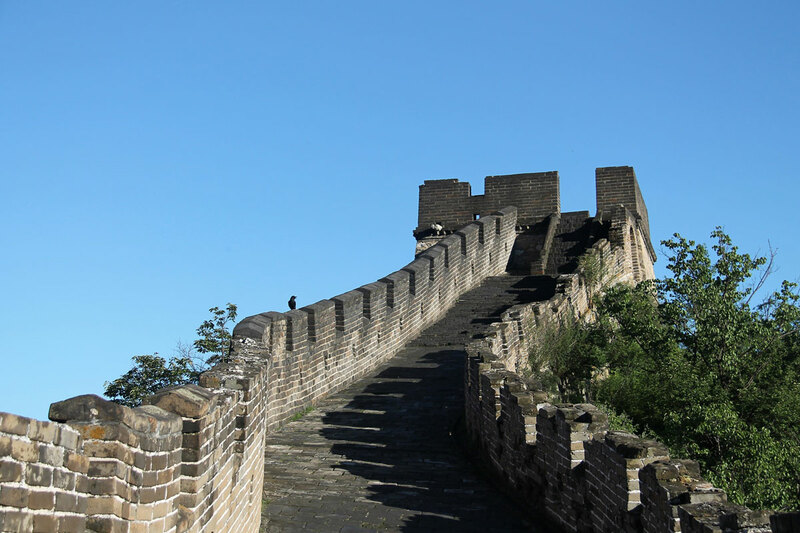 According to a rough estimation, if you took all the bricks and rocks used in the Great Wall of the Ming Dynasty and built a wall 1 meter wide and 5 meters high, it would go around the earth once or more. If a highway 5 meters wide and 35 centimeters thick was built with those materials, it could go around the earth 3 or 4 times. The Great Wall is really a miracle of the world! The Great Wall is a great military defense project of ancien China. When Qin Shi Huang unified China in 221 B. C. , he linked up the northern walls of the Qin, Zhao and Yan Kindoms to protect from the invasions of nomadic tribes of the North, while demolishing others. 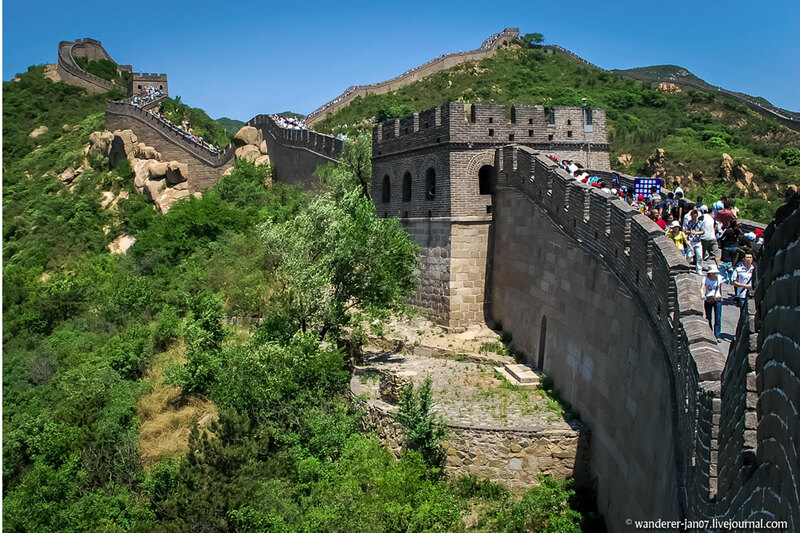 Stretching from Lintao (now Mingxian in Gansu Province) in the west to Liaodong in the east, the Great Wall had at that time a length of more than 5,000 kilometers. As a solid defense system, it became more and more famous. 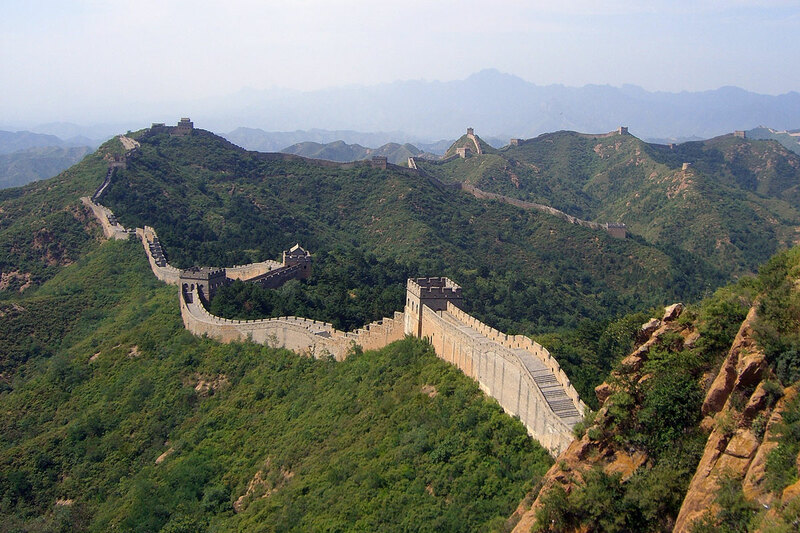 The Great Wall was extended and rebuilt in the Han Dynasty. Streching from Yalu River bank in the east to Luobupo Lake in what is now Xinjiang autonomous region, it has a total length of more than 10,000 kilometers, the longest in its history. 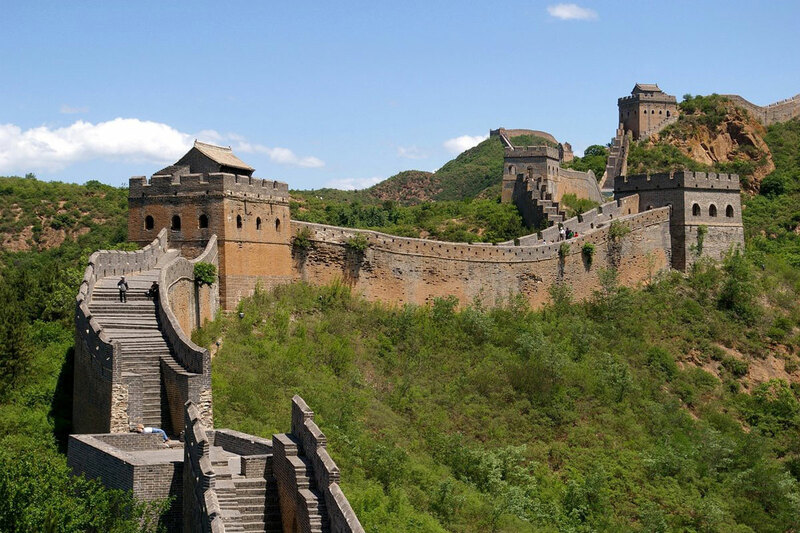 Having gone through many changes, the Great Wall was reconstructed in a large scale in the Ming Dynasty. 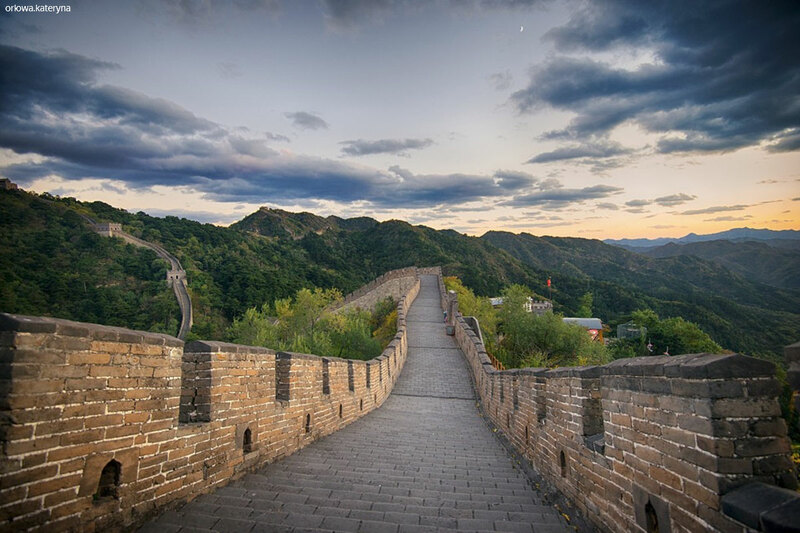 Extending westward from the Yalu River bank to Jiayuguan in Gansu Province, the Great Wall as we know today is mostly the construction of the Ming Dynasty with a total length of about 6,350 kilometers. 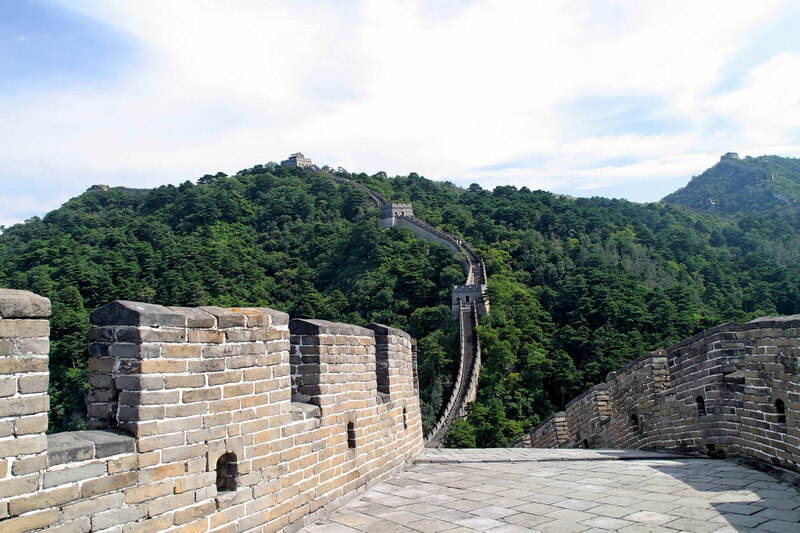 The Great Wall was built at top of the mountains, depicting beautiful curves of their ridges. 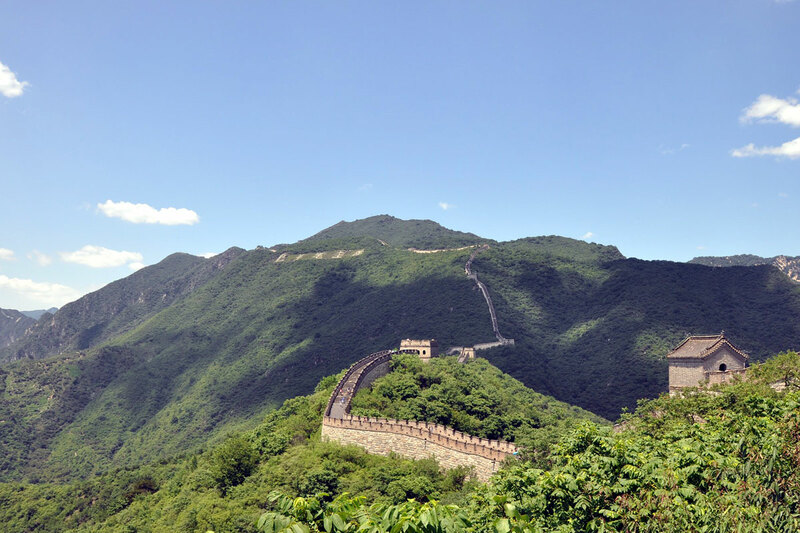 Meandering along high mountains and deep valleys with its hundreds of passes and thousands of forts, watch towers in a hamony, the Great Wall is really magnificent, one can not help admiring the diligence, intelligence and greatness of the Chinese People. 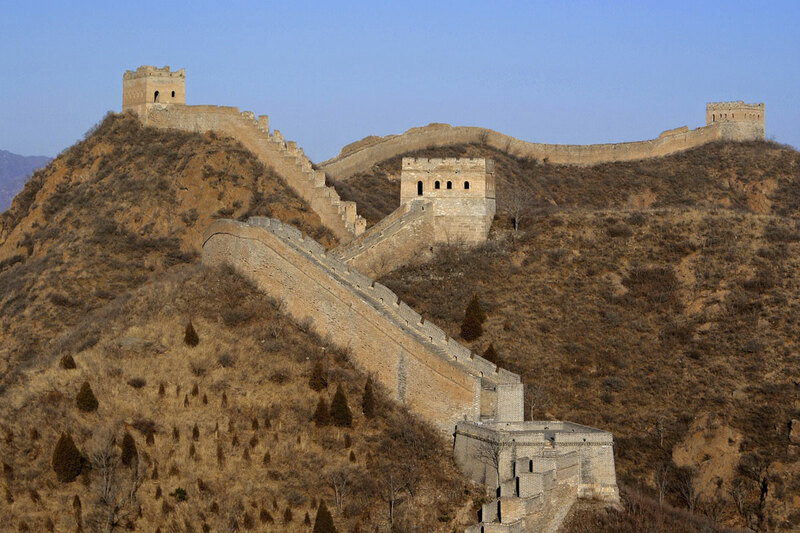 The Great Wall had never ceased to be perfected from its beginning to its end of the role as a means of defense. Rising and declining along with the long history of China, the Great Wall lost gradually its original function, the erosion of wind and rain with the man-made dammage dilapidated the Great Wall. After the foundation of the People's Republic of China, the Great Wall was assigned one of the most important historical sites to be repaired. 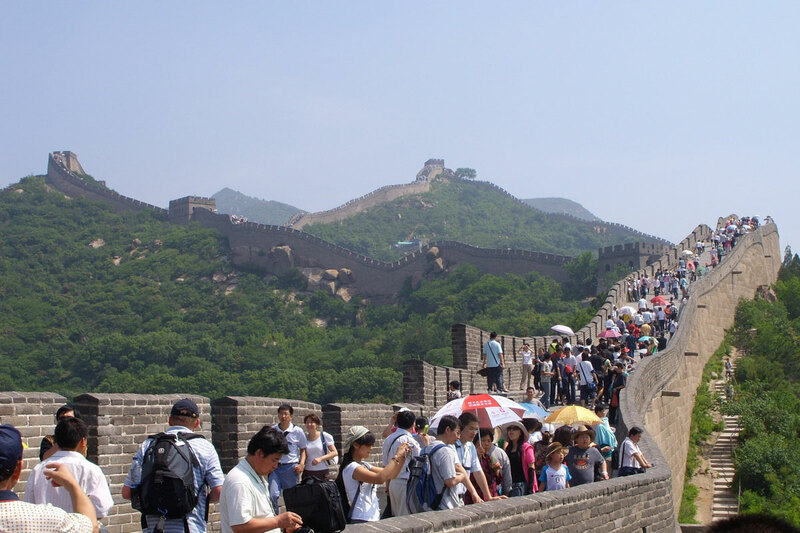 After restoration of many of its important sections, the Great Wall has resumed its imposing manner, it is now an important tourist attraction for people all over the world. The Great Wall is not only a pried of China, but also a tresor of the world civilization and a link between peoples all over the world! Photo. The Great Wall at Jinshanling amidst clouds. China. Photo. A bird's-eye view of the Great Wall at Badaling. China. Photo. Brighe Moon over Badaling. China. Photo. 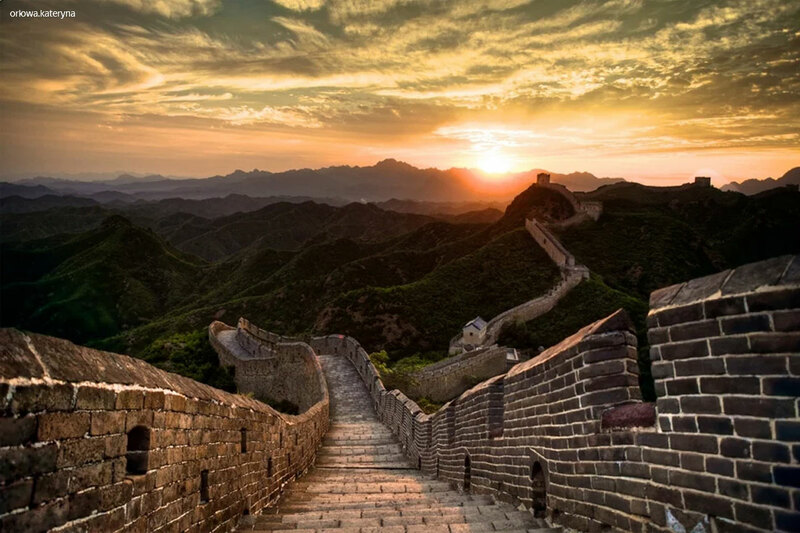 The Great Wall at Badaling at sunset. Photo. The Great Wall at Jinshanling. China. Photo. Great Wall. An eatly snowfaill. China. Photo. Great Wall. May 2001. China. Photo. Great Wall. August 2006. China.